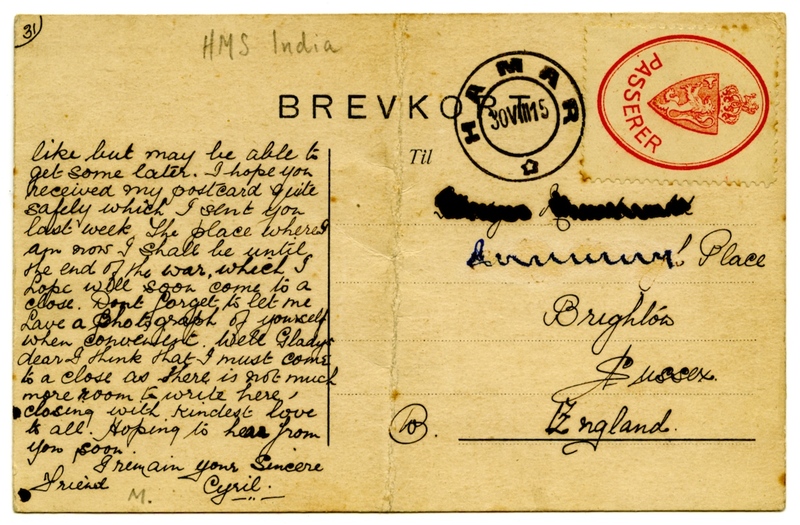 A post-card from one of the survivors of the H.M.S. India sent from Faaberg, Norway, to Brighton bears a special Norwegian adhesive frank stamp with the Norwegian Coat of Arms above the word PASSERER enclosed in an oval two lined frame, the entire stamp printed in red. The postmark is HAMAR 30 VIII 15 which just barely ties the stamp to the card. 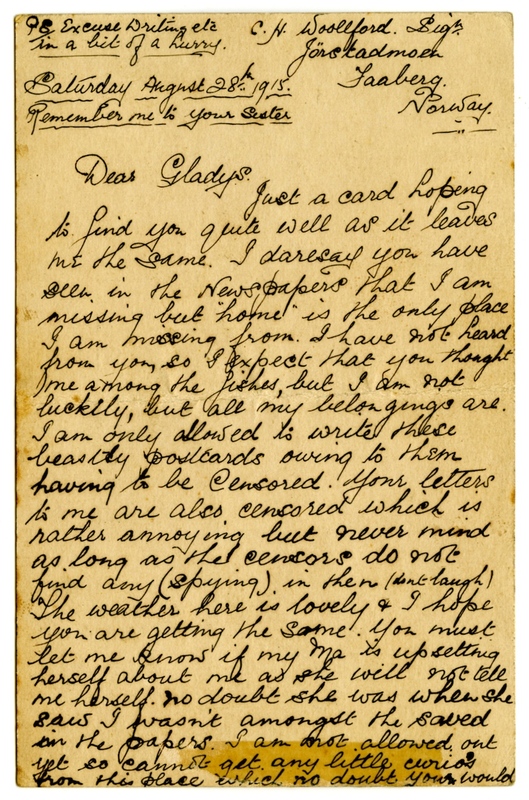 She was sunk on 8th August, 1915 in the North Sea by a torpedo from a German submarine. Captained by Commander W. G. A. Kennedy, R.N, twenty-two officers and 119 ratings were saved, but eleven of the latter died afterwards from the effects of exposure. The survivors were interned in Norway.